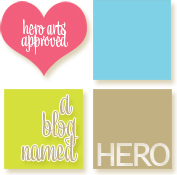 The new Case Study Challenge Muse is the ever so talented Debby Hughes. I love her style and love to case her cards. 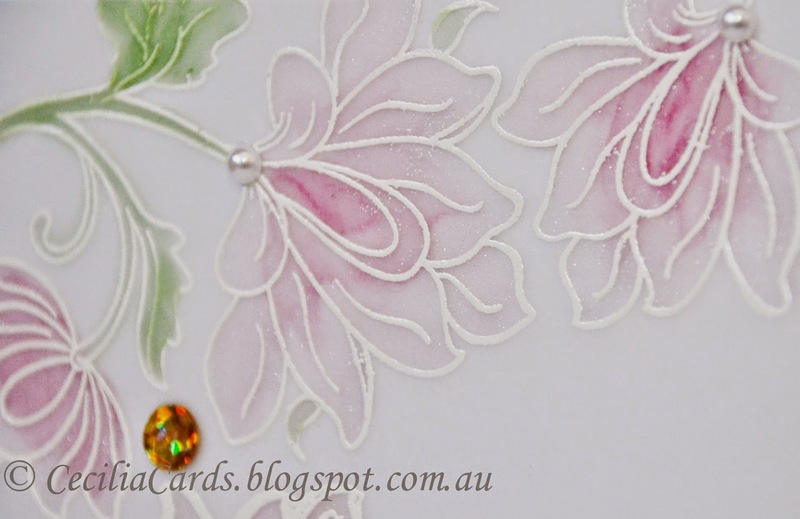 The first challenge for CSC#207 is a lovely card stamped on vellum and coloured on the back with Copics. I was lucky to just receive my new AlteNew stamp set (from my prize money for RIC) and it happened to be the same set that Debby used. Here is my card, and thanks for dropping by! I'm also adding this to a couple of Simon Says Challenges - Work it Wednesday and Wednesday Stamptember Stamp It. 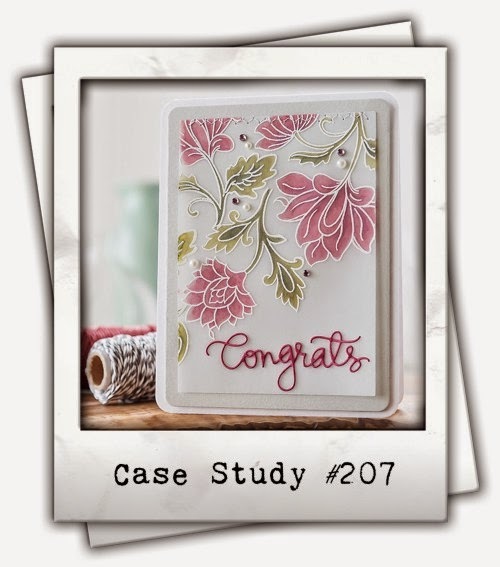 your card is beautifully done, Cecelia! Wow lovely love the soft look and the way you placed those pearls. Thanks for joining us over at case study challenge. beautifully done Cecilia. Debby is a great MUSE and you've done an awesome card. Cecilia, this card is stunning! Such beautiful muted colours. Wow! 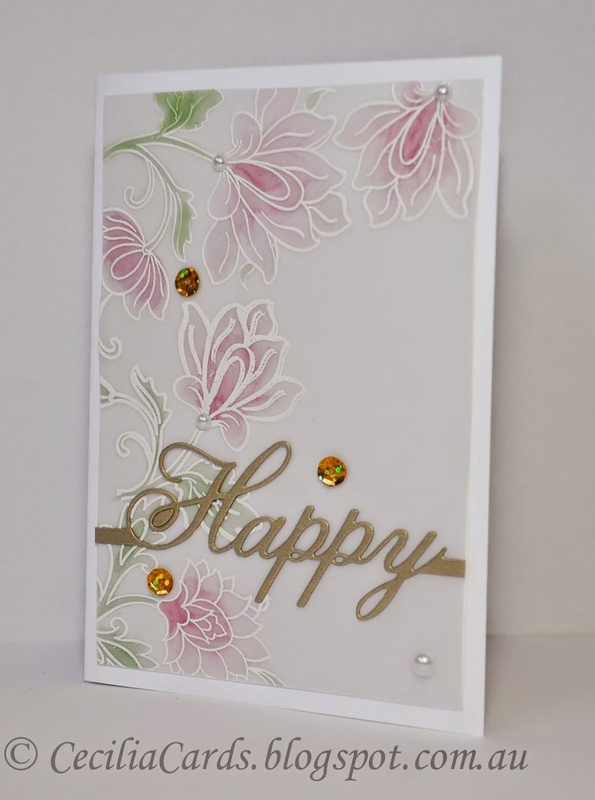 Love the soft look of your card! The sentiment is so beautiful! Cecilia, love your tender card with a gold script, this can be a perfect wedding card! Gorgeous, beautiful card, the sentiment is perfect for the card. Isn't that Altenew set just beautiful and you've showcased it perfectly :D Thanks for joining in with CASE Study challenge this week!